It’s only the first day of the Frankfurt Book Fair, and already there have been three seven-figure deals announced, all for debuts by American women. Random House also opened its cheque book for Cameroonian-American author Imbolo Mbue’s debut novel The Longings of Jende Jonga, about a West African immigrant who works as a chauffeur for a Lehman Brothers executive. 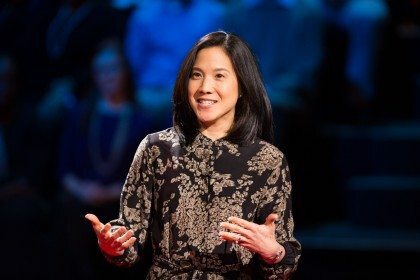 Scribner acquired U.S. rights to University of Pennsylvania associate psychology professor Angela Lee Duckworth’s Grit: Passion, Perseverance and the Science of Success. The book is based on Duckworth’s research into the major indicators of future success, and is the subject of her popular Ted Talk.